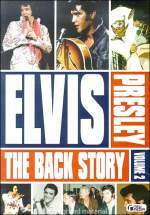 This DVD is quite something, it gives you as they say a look at the film Elvis wanted to make way back in 1974, this is true to a degree I suppose but without Elvis' narration and demonstrations as held by the EPE estate it can only really be a rough cut, this is possibly more like part of the rough edit Elvis would have been presented with in late 1974 before the whole thing fell apart, and nothing more was done with it until now. The film footage is rough and has suffered a little through time but that said, it is still an amazing piece of footage. Karate fans will love this, as this shows what it is like to compete in near full contact, not just adult but little kids too. I also say near full contact but it looked more like full on contact for the most part. Elvis fans will recognise a couple of known faces from the Elvis world like Ed Parker of course, also Dave Hebler is also on film unfortunately we don't get to see him compete, he's more of a judge than competitor in this production. The DVD starts of with an interview with George Waite the producer that first put the idea to Ed & Elvis. This interview could have been complimented with the Kang Ree footage, but as we all know they weren't allowed to use it. According to George he still owns or has in his possession the complete reels of footage Elvis had done and then had sent to him for editing interesting to know. 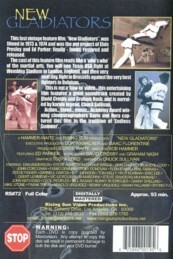 This is followed by the film it's self, it has been done in a documentary style, and Elvis fans will recognise the karate outfits that Elvis paid for so that the US team could all look the same in smart new karate outfits as they toured and competed in Europe. 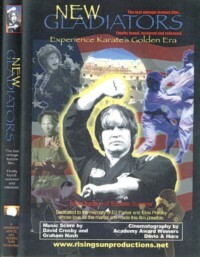 It is an excellent programme that could have been outstanding if only Elvis took to finishing it, while watching it you get the feel of what Elvis had in his mind and what he wanted to do with promoting karate to the world. While in Memphis I was lucky enough to get the chance to be part of a private screening of 20 minutes of the footage with Elvis at Kang Ree's Memphis studio, in 1974 of that 20 minutes you only see Elvis for approximately 12 of those minutes, but again there is known to be at least an hours worth if not more of this footage, so with that film and the 40 minutes of unseen Elvis footage, Elvis fans will all conger up how they think Elvis would have finished the film if he had finished it. Plus how Elvis' narration would have gone over the production. If it had been made in 1974/75 I'm sure it would have been probably one of Elvis' proudest accomplishments for if it never won an award I'm sure the Karate world would have also been proud of it. Just a shame that this is all we have. 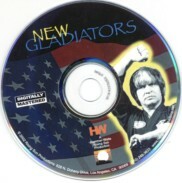 One final note on this DVD it is a DVD-R with full colour glossy label on the disc and what looks like a proper factory printed sleeve until you take it out and find it's just a high quality computer printout. Inside the case you get a plain photocopied sheet of paper with a brief introduction on the production of the movie. 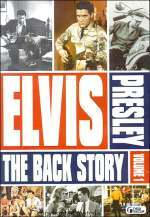 With that said it shouldn't put you off as it is a piece of history and its something millions of Elvis fans thought would never see the light of day, so even to have it in this form, it's worth having. Both Volumes of this set contain "Private Elvis" Volume 1 contains 75% of it Volume 2 contains the rest plus another short programme that I can't for the life me remember but it's crap to say the least. So beware if you have ordered it but have the chance to cancel your order I would do it now!! 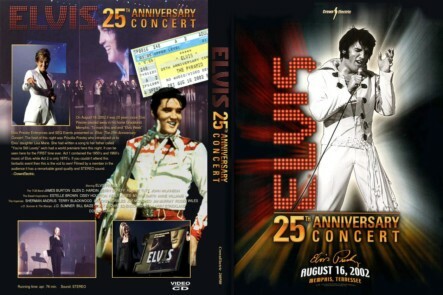 This home recording is probably one of the better quality versions of all the "Elvis The Concerts", on this title you get to see 99% of all that's new and has been added to the 25th Anniversary show, but isn't being used on the world tour, so worth a look if you weren't there to see it. Personally I wasn't too impressed by the early material or the movie medley they just seemed out of place, but it was still cleverly done. But the concert version we are all familiar with will be the same as before nothing pre '68, only the use of some new material to the show. If you like this kind of material it's worth the finding, if not you won't be missing much. Oh almost forgot it also had Lisa's effort of "Nobody Notices" but once again she did't bother to do it live or even bother to make a video this time, it was more of her recording over a video screen with the words rolling down a little like a karaoke screen..